The Korina Explorer was light years ahead of its time when it was first introduced in 1958. 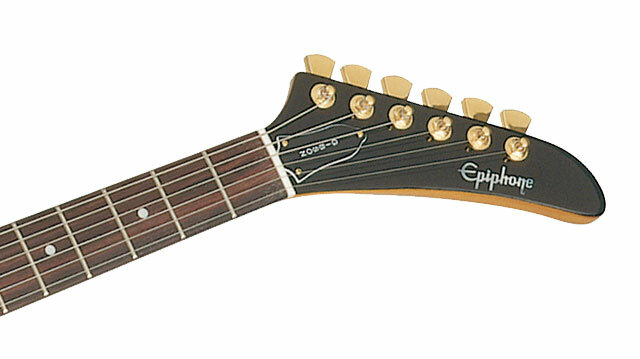 With its angular, asymmetrical body and pointed headstock, the Explorer was unlike any guitar available. 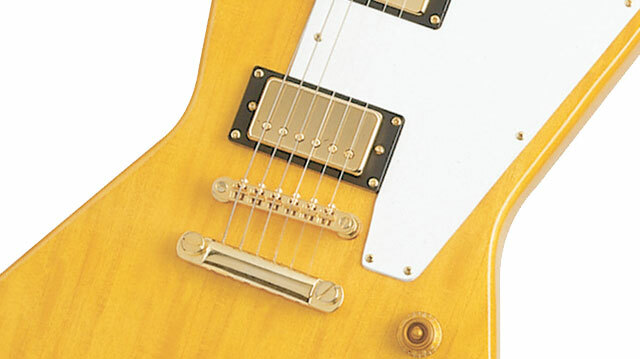 In fact, the Explorer was such a radical departure that only around 100 of the famed instruments were produced at the legendary Kalamazoo factory. What few have survived are now highly prized collectibles that sell for half a million dollars or more. Now, Epiphone brings back the one-of-a-kind legend in all its original glory made from beautiful Korina. The Korina Explorer features our Limited Lifetime Warranty backed by world famous 24/7/365 Gibson Customer Service. Visit an Authorized Epiphone Dealer today and make a name for yourself with the 1958 Korina Explorer. Korina is one of the best tonewoods for making guitar bodies. It has complex tonal characteristics similar to mahogany but with added mid-range which makes it a perfect fit for the Explorer body style. The 1958 Korina Explorer features a solid Korina body using the same dimensions as the original with a glued-in mahogany neck with a 24.75” scale and a SlimTaper™ profile. The rosewood fretboard as a 12” radius and features pearloid dot inlays and a 1.68" nut. The power of the 1958 Korina Explorer comes from our Alnico Classic™ humbuckers which have all the subtle tonal colors and warm crunch heard in vintage PAF humbuckers. Like all Epiphones, the 1958 Korina Explorer comes with all-metal hardware made to last a lifetime. 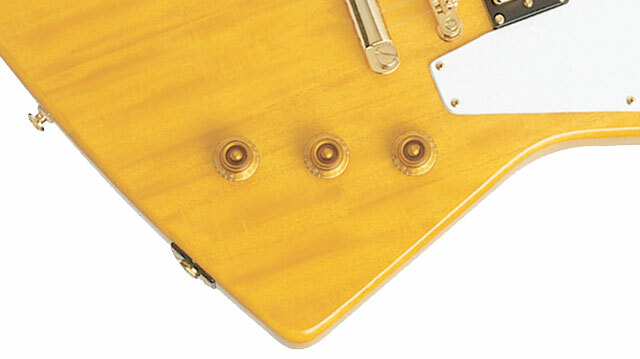 Along with gold premium die-cast machine heads, the Korina Explorer includes our LockTone™ Tune-O-Matic StopBar bridge and full function classic gold Speedvolume-style knobs for each pickup and a gold Speedtone-style master tone knob using full-size 500K O potentiometers.